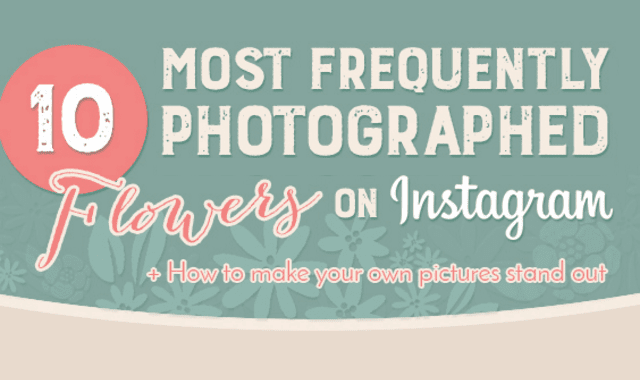 10 Most Frequently Photographed Flowers on Instagram #Infographic ~ Visualistan '+g+"
Aww flowers… we can’t get enough of them. Especially on Instagram. Whether it’s a snap of a birthday bouquet, perfectly laid out flat photo or an extravagant display of red roses, flowers are reigning social media and are here to stay. With thousands of images shared daily, there is a lot of competition when it comes to the floral snaps. Do you know which flowers made it to the Instagram hall of fame in October 2016? Check our infographic to stay on trend!